The Evolution of Technical Analysis explores the fascinating history of technical analysis, tracing where technical analysts failed, how they succeeded, and what it all means for today's traders and investors. ANDREW W. LO is the Harris & Harris Group Professor of Finance at MIT Sloan School of Management and the director of MIT’s Laboratory for Financial Engineering. He has published numerous papers in leading academic and practitioner journals, and his books include The Econometrics of Financial Markets, A Non-Random Walk Down Wall Street, and Hedge Funds: An Analytic Perspective. His awards include the Alfred P. Sloan Foundation Fellowship, the Paul A. Samuelson Award, the Graham and Dodd Award, the James R. Vertin Award, and the American Association of Individual Investors Award. He is also Chairman and Chief Investment Strategist of AlphaSimplex Group, LLC. Jasmina Hasanhodzic is a research scientist at Alpha-Simplex Group, LLC, where she develops quantitative investment strategies and benchmarks. She received her PhD from MIT’s Department of Electrical Engineering and Computer Science. Her works on alternative market betas and technical analysis have appeared in leading publications, such as the Journal of Investment Management, and she is the coauthor with Andrew Lo of the book The Heretics of Finance. She also serves on the Board of Directors of the Market Technicians Association Educational Foundation. Chapter 2 The Middle Ages and the Renaissance. Chapter 4 The New World. 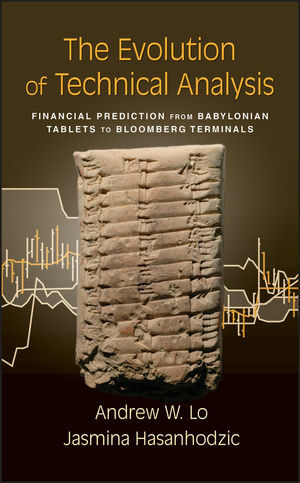 Chapter 5 A New Age for Technical Analysis. Chapter 6 Technical Analysis Today. Wall Street’s Reinterpretation of Technical Analysis. Chapter 7 A Brief History of Randomness and Efficient Markets. Prices As Objects of Study. The Emergence of Efficient Markets. Chapter 8 Academic Approaches to Technical Analysis. Adaptive Markets and Technical Analysis.